Please feel free to post a comment at the conclusion of the page or send a personal e-mail to the above address. Projected Weight: 113 lbs. – 120 lbs. Spencer “The Kid” Lee is our undisputed #1 Top Incoming Freshman for the 2014 season with a multitude of National accolades to his name. Most recently Lee traveled to Serbia where he competed in the Cadet Freestyle World Championships finishing in seventh place. Spencer will be competing for Franklin Regional High School this season despite spending much of his youth in Saegertown, PA. In folkstyle competition Lee has won four PJW State Championships and seven PJW Area 6 Championships. Lee has won Championships titles at the Tulsa Nationals, Liberty Nationals, Dixie Nationals, and Northeast Nationals. In Freestyle & Greco-Roman competition Spencer has amassed one a PAWF Championship in each stye and went undefeated in freestyle competition at the Schoolboy National Duals in 2011. Arguably his most impressive achievement came in 2012 at the Super 32 Challenge Tournament. There Lee competed in the High School Division at 106 lbs. and tore through the competition right into the finals. In the finals Lee met the Nation’s #1 grappler at 106 lbs. Nick Suriano (New Jersey). In the semi-finals Suriano defeated PA’s 2013 Top Incoming Freshman Luke Pletcher and would be State Champion by a score of (2-0). Pletcher would go on to finish in third place at 106 lbs. In the Suriano vs. Lee match it looked as if Spencer Lee would cement his status as the top eighth grade wrestler in the Nation. Lee jumped out to a (2-0) lead after a takedown in the first period and gave up an escape to lead (2-1) after one. In the second Suriano choose bottom and Lee was hit with a controversial locked-hands penalty to tie the match at (2-2). In the second Lee nearly picked up back-points with a chin-pullback riding Suriano out for the entire period to end the second tied (2-2). In the third period Lee choose the bottom position earning an escape early on to go up (3-2). With time running out in the match Suriano got in on Lee’s leg and finished by spinning around near the edge of the mat as the buzzer sounded. “The Kid” was unable to hold onto the victory despite looking exceptional throughout majority of the bout in his first career Super 32 High School Division finals. 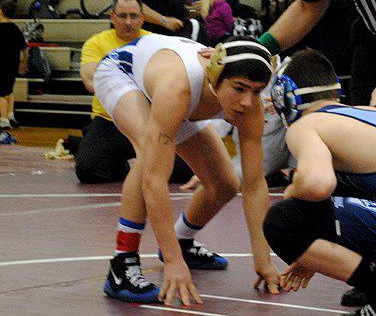 In April 2013 Lee would face 2013 State Champion Luke Pletcher in the FloNationals finals at 106 lbs. with Pletcher coming out on top (3-1). These top wrestlers in the Nation may be seeing much more of each other in the coming years as Franklin Regional and Greater Latrobe both compete in the WPIAL’s Section 1. With 2013 106 lbs. 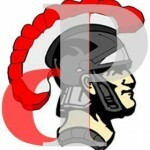 State Champion Devin Brown also making the move to Franklin Regional Lee will in all likelihood compete at the 113 lbs. weight-class in the post-season. Projected Weight: 126 lbs. – 132 lbs. #2 on the list is Penn Trafford’s Cameron Coy who will enter his freshman season as one of the top middle-weights in the WPIAL. Coy is a 2x PJW State Champion and 4x PJW Area 3 Champion. 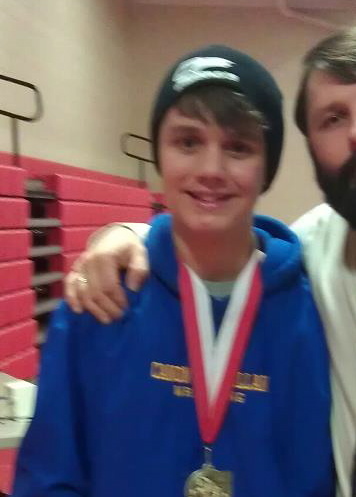 In 2013 Coy won the 13 & 14 year old division at 124 lbs. by recording a major decision, a tech-fall, and two falls en route to his second straight PJW State Championship. Cameron is also a 2x Southwest Regional Junior High Champion and has National experience competing in Freestyle and Greco-Roman. 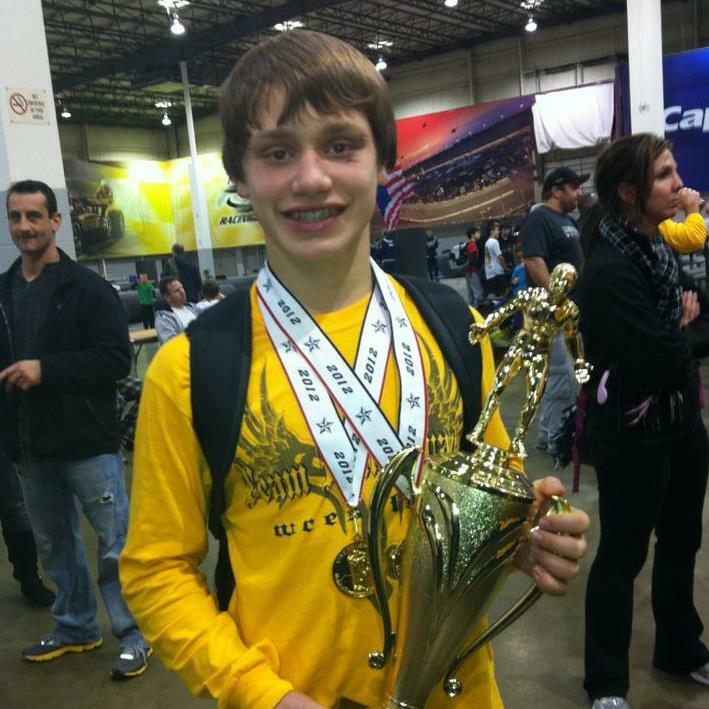 Coy competed for Team PA at the 2012 Schoolboy National Duals against some of the Nation’s top competition in his age group. The freshman has grown from 75 lbs. in 2009 to 124 lbs. in 2013 and will most likely compete at the 126 lbs. – 132 lbs. range this season. Coy will be a contender to place at the WPIAL Tournament and could earn a trip to Hershey in his freshman campaign. Projected Weight: 138 lbs. – 145 lbs. Younger brother Jarod Verkleeren will join older brother and sophomore Derek for the Belle Vernon Area program. Verkleeren is an accomplished youth wrestler who won two PJW State Championships and five PJW Area 4 Championships. 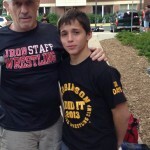 At the 2013 Nittany Lion Open Tournament Jarod won both the Junior High and High School division Championships at 140 lbs. Like Coy, Verkleeren has captured two Southwest Regional Junior High Championships and is a 4x Ohio Tournament of Champions medalists including a 1x Champion. Verkleeren will certainly add to an already young and talented Belle Vernon Area wrestling team for first year head coach and former PIAA State Champion and NCAA All-American Tyler Naumen. Jarod will likely compete around the 138 lbs. – 145 lbs. before older brother Derek. Jarod will join a WPIAL middle-weight class that is full of the State’s top wrestlers so the frosh may miss out on a trip to Hershey as a rookie. Projected Weight Class: 106 lbs. – 120 lbs. The second Franklin Regional wrestler on the list is one of the most talented freshman who may see only limited varsity action in his freshman campaign. Gus Solomon is a solid addition to an already stacked Franklin Regional line-up but unfortunately there is going to be a log-jam of talent in the light-weights this season. 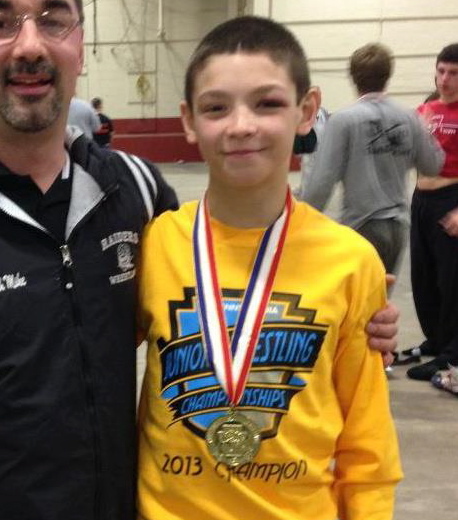 With returning PIAA State Champion Devin Brown slated to return to 106 lbs. this season and #1 Spencer Lee floating around 113 lbs. – 120 lbs., Solomon may have to compete at a heavier weight in order to see the mat. In 2001 Solomon placed third at the PJW State Championships at 82 lbs. in the 13 & 14 year-old division. 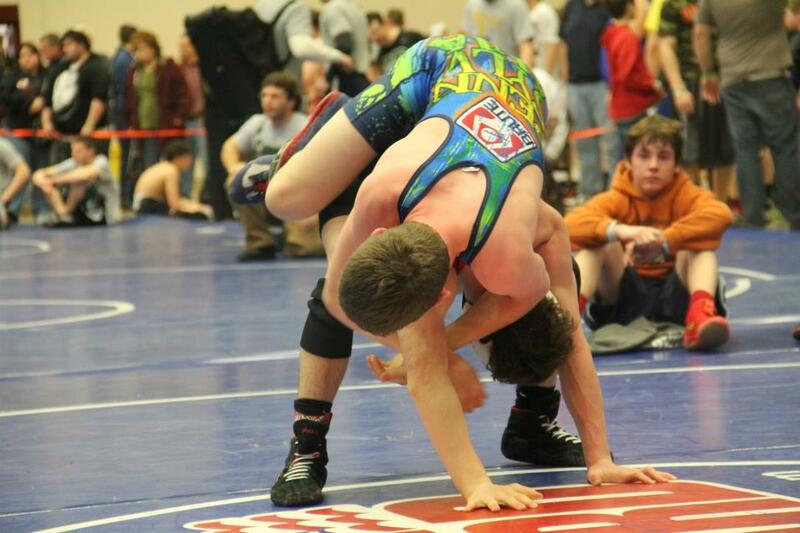 In April 2013 Gus competed at the FloNationals in 106 lbs. High School Division going (3-2) and falling to State Champion Luke Pletcher (8-0) and PIAA Medalist Gage Curry (3-1). 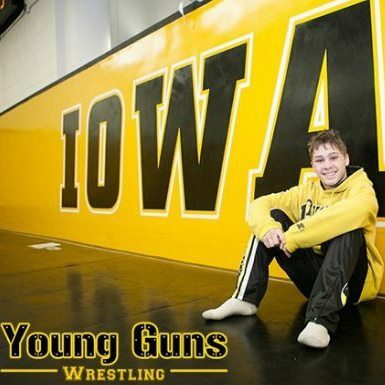 The freshman will only get better with practice partners such as Spencer Lee and Devin Brown. Projected Weight: 195 lbs. – 220 lbs. Incoming freshman Cole Nye is one of the top rookie upper-weights who is just one part to a talented and growing Bishop McDevitt wrestling program. Nye won his first career PJW State Championship in 2013 at 187 lbs. in the 13 & 14 year-old division. He was also a 2013 Wilson Junior High Champion at 185 lbs. and a 2x Dixie Nationals Champion. Nye will likely compete at 195 lbs. this season and should place at the District 3 Tournament and qualify for the Class AA SE Regional Tournament. Nye has the potential to reach high levels on the State scene in his career at Bishop McDevitt. The freshman plays football for McDevitt and may grow into a formidable 220 lbs./Heavyweight wrestler. Projected Weight: 170 lbs. – 182 lbs. #8 is the second Bishop McDevitt Crusader on the list as the talented Zane Black will begin his career with good friend and teammate Cole Nye. Black has been a name associated with PA Youth Wrestling for the past several years. Black won the 2013 PJW State Championship in 2013 at 167 lbs. in the 13 & 14 year old division. Black was a double Cadet Champion in 2013 and 2012 in addition to competing in the Schoolboy National Duals in 2011 and 2012. Recently Black competed at the Super 32 Challenge Qualifying tournament in the High School Division and finished as the runner-up at 182 lbs. Black defeated 2013 PIAA State Qualifier Jared Beckwith of Tyrone Area (4-1) en route to the finals where he fell to Bermudian Springs talented senior and returning PIAA State Runner-up Tristan Sponseller (12-1). Black should fair very well against the competition and should not be overlooked as a potential State Tournament qualifier or medalist in his freshman campaign. Zane has shown true potential to transition into high school competition smoothy and fans may see him on the State Tournament podium multiple times, including he top. Projected Weight: 145 lbs. – 160 lbs. Huntingdon Area’s Jacob Oliver may be the dark horse of 2014 Freshman Class. Oliver is a 4x PJW State Medalist and including finishes of 1st, 2nd, and 3rd in his last three seasons. 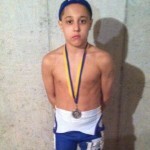 The middle-weight rookie has competed for Team PA at the Schoolboy National Duals and won a 2012 PAWF State Freestyle Championship. This season Jacob could see action anywhere between 145 lbs. and 160 lbs. with a strong possibility to advance through the Southwest Regional Tournament and qualify for his first PIAA State Tournament. The reason Oliver may be considered a dark horse is his potential for a stellar career at Huntingdon Area, as his accomplishments show, he is constantly improving. Projected Wight Class: 106 lbs. Another younger brother on the freshman list is Austin DeSanto of Exeter Township. His older brother Tony DeSanto was a 2x PIAA Class AAA State Medalist at 125 lbs. finishing in fifth place in 2005 and sixth place in 2004. 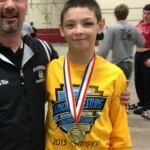 Austin DeSanto has a solid history of success on the PA Youth level which includes being a 3x PJW State Champion. DeSanto was also a 5x PJW Are 9 Champion and a 2x MAWA Eastern National Champion. Austin will most likely compete at 106 lbs. in the post-season and with the South Central Region qualifying four to the PIAA State Tournament, DeSanto has a very strong chance of making a trip to the GIANT Center in his freshman campaign. 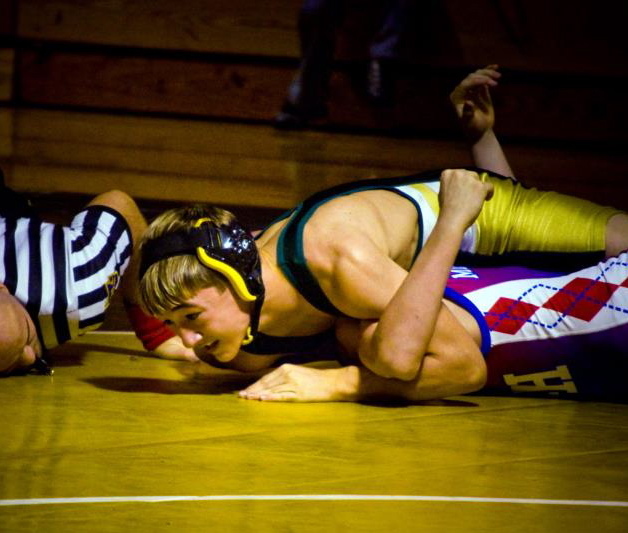 As an experienced youth wrestler Austin will contribute to an Exeter Township program that has had success on the team and individual levels over the past several seasons. Projected Weight Class: 113 lbs. – 120 lbs. 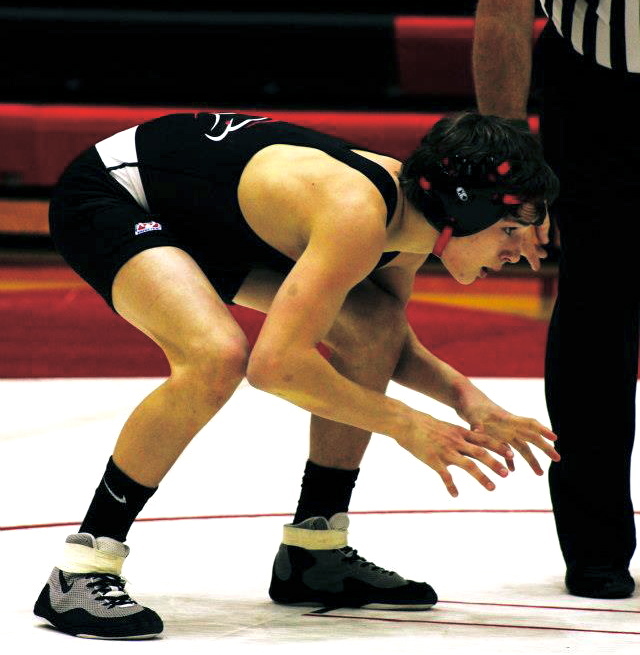 Another PA Youth Star with a family history of success is Bellefonte Area’s Brock Port who projects to compete between 113 lbs. and 120 lbs. this season. Port is a 3x PJW State Medalist and has twice placed as a high as third place. PA Wrestling fans may recognize the name as Brock’s cousin, Mitchell Port, was a PIAA State Champion for Bellefonte Area and was a 2013 NCAA Division I Runner-up for Edinboro University. Brock has always been in the top tier of his age/weight bracket since beginining his youth career and despite not claiming a State Championship, Port will be competing for a PIAA State Tournament qualifying spot next season in the Northwest Region. PA Youth Wrestling fans may not be as familiar with Chandler Olson but the tough lightweight has accomplishments to back up his ranking. Olson has twice finished in fourth place, once as the runner-up, and once in fifth place at the PJW State Championships. Olson’s only two loses at the 2013 PJW State Championships were to #1 Spencer Lee (7-0) and to #9 Brock Port (4-0). In 2013 he claimed the Wilson Junior High championship after finishing as the runner-up in 2012. Olson will compete between 113 lbs. – 120 lbs. 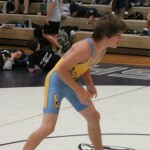 in his rookie season and should challenge the top wrestlers in his weight at the South Central Regional Tournament. Projected Weight Class: 120 lbs. – 126 lbs. Council Rock South’s lightweight dominance in the Southeast Regional will continue with freshman Zack Trampe. 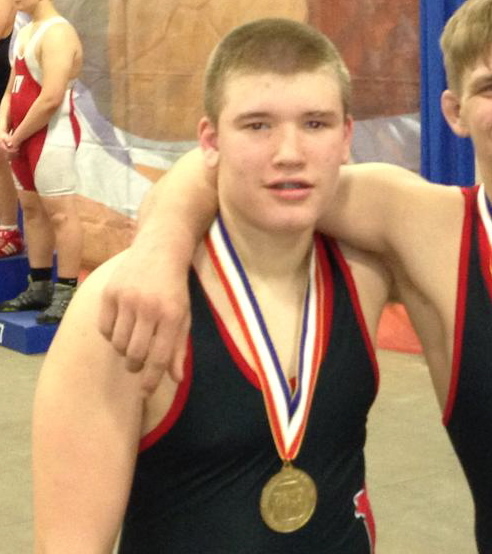 Zack’s older brother Tom Trampe was a 2012 PIAA Class AAA State Medalist at 285 lbs. finishing eighth in his senior season. Zack won’t be seeing heavyweight anytime soon and is registered at 120 lbs. for the Super 32 Challenge this month along with teammate Dan Martoccio. Trampe will likely compete where Martoccio is not, so anywhere between 113 lbs. – 126 lbs. this season. Trampe’s biggest achievment came in 2013 when he captured the PW State Championship title at 117 lbs. The weight class was loaded with talented wrestlers and in the finals he defeated #12 Nino Bonaccorsi (5-4 TB). Trampe has also won a MAWA Eastern National title. A decorated wrestler who like many other top freshman have a family tradition of success. Nino’s older brother Nick Bonaccorsi wrestler for the University of Pittsburgh and in 2013 he was an EWL Champion and NCAA Qualifier at 174 lbs. Nick was a 4x PIAA State Qualifier and a 3x PIAA State Medalist for Bethel Park High School including a third place finish his senior season. Nino Bonaccorsi has competed in many National and State wrestling events and his resume includes two PAWF State Championships, a PJW State Championship, and an Ohio Tournament of Champions title. Bonaccorsi captured the 2011 PJW State Championship at 90 lbs. but was unable to duplicate that feat finishing as the runner-up in the next two seasons. In 2012 he was the PJW State runner-up to Gage Curry (North Hills) at 97 lbs. score of (3-0). Curry was a PIAA Class AAA State Fourth Place finisher last season as a freshman at 106 lbs. Bonaccorsi projects to compete around the 120 lbs. – 126 lbs. range in his rookie season and, like his older brother before him, should have a prosperous career at Bethel Park High School. Projected Weight Class: 106 lbs. 3x PJW State Champion Colin Cronin has done something not many PA wrestlers have done before: He pinned #1 Spencer Lee. In the finals of the 2009 PJW State Championships in the (9 & 10) year old division Cronin pinned Lee in (2:59). It was Cronin’s first of three career PJW State Championships. Entering his freshman season at Upper Darby the 2x MAWA Eastern National Champion will be competing for a spot in Hershey at the PIAA State Tournament. With many of the top returners at 106 lbs. in District 1 moving up in weight there is a good chance Cronin will be a contender. In addition to his PJW State success Cronin has captured two MAWA Eastern National Championships and a Dixie National Championship. Colin is entered at 113 lbs. for the 2013 Super 32 Challenge taking place next month. He joins teammates and brothers Austin and Anthony Petril for Upper Darby who are also registered at 113 lbs. With Cronin and the Petril brothers Upper Darby will have a strong lightweight line-up and should fair well in the team race for District 1. Younger brother Luke Landefield will join a long line of older brothers who have competed for the North Allegheny wrestling program. Older brother Drew will be a senior this season and eldest brothers Brett and Bill had successful careers for the Tigers in high school. Luke had a very successful youth career which included two Southwest Regional Junior High Championships and a PJW State Championship in 2011. In total Luke earned 5 PJW State Championship medals never finishing less than fifth place. Lanfield should compete at 106 lbs. but will have to earn the starting spot against other incoming freshmen such as Zach Stedeford. Overall Luke will no doubt have a successful career at North Allegheny and may even surpass his older brothers. Don’t be surprised to see Landefield on the PIAA State Tournament podium by the end of his career. Projected Weight Class: 145 lbs. – 160 lbs. 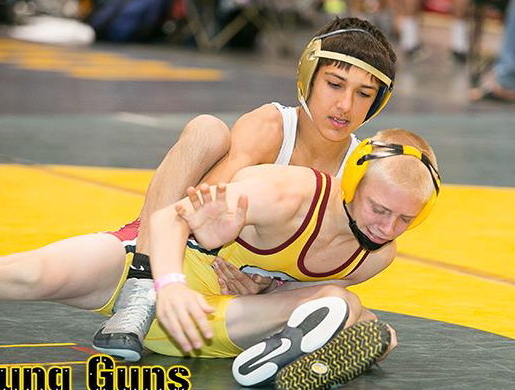 Yet another brother of a former PA Wrestling stand out is freshman Frank Guida of Parkland. His older brother Nick was a 2004 PIAA State Champion and 2005 PIAA State runner-up for the Trojans. Nick went on to wrestle for the University of Illinois. Frankie Guida was a 2013 PJW State runner-up at 147 lbs. and predicts to compete anywhere between 145 lbs. and 160 lbs. in his rookie season. Guida will join an already talented line-up for Parkland and should fair well against District 11 competition. Arguably the most well-known PA Youth wrestlers of the incoming freshman class is Cole “C.J.” Manley of Altoona Area High School. C.J. is currently registered at 106 lbs. for the 2013 Super 32 Challenge Tournament and should compete at 106 lbs. this season. Manley has been on the wrestling scene since 2006 and has earned a multitude of achievements. Most notably Manley has captured two PJW State Championships and twice finished as the runner-up. Manley also earned two PAWF State Championships and was a 4x Cliff Keen National Kick-Off Tournament Champion. Despite being slightly undersized Manley should grow into the 106 lbs. weight-class and the Super 32 Challenge will be a good benchmark to determine how he will do this season. 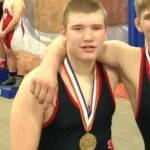 Overall Manley will be one of the top light-weights in the State by the end of his high school career at Altoona Area High School. Projected Weight Class: 120 lbs. – 132 lbs. Some may say freshman Todd Lane should be ranked higher on the list but regardless the incoming freshman will prove his worth at Southern Columbia Area High School this season. Lane has had an impressive youth career which includes victories over some of the State’s top wrestlers. 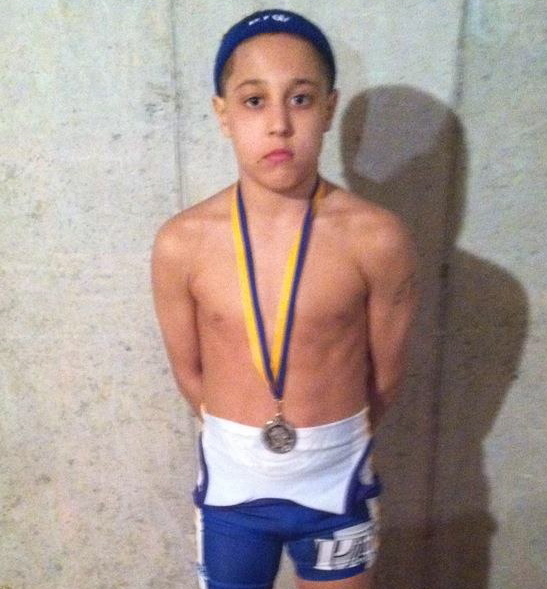 In 2012, at the PJW State Championships in the (13 & 14) 107 lbs. division, Lane advanced to the State finals and defeated Derry Area’s George “Mickey” Phillippi (3-0) in the quarterfinals before falling to Greater Latrobe’s Luke Pletcher (2-0) in the finals. Phillippi would go on to win a PIAA Class AA State Championship in 2013 at 113 lbs. while Pletcher captured the PIAA Class AAA State Championship at 106 lbs. 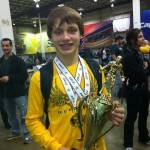 The freshman has also captured a MAWA Eastern National championship and Super 32 Challenge Middle School Championship. Lane will join older cousin Kent on the Souther Columbia Area wrestling team this season and could compete anywhere between 129 lbs. and 132 lbs. Lane is currently registered at 120 lbs. for the Super 32 Challenge coming up. Dan Moran’s PA Youth achievements go out the front door and around the block as the freshman will look to continue that success in high school at Northampton Area. It has been since 2008 when Northampton last qualified a wrestler at 103 lbs./106 lbs. for the PIAA State Tournament when sophomore Greg Rinker went (1-2). Moran good very well end that dry-spell for the Konkrete Kids in the near future. Moran is an outstanding 7x PJW State medalist including a State Champion in 2009. The freshman is registered to compete at 106 lbs. at the prestigious Super 32 Challenge this month. Moran has experience on multiple stages throughout his long youth career and this will only benefit him in high school against District 11’s stiff competition. Do not be surprised to see Moran in Hershey multiple times in his career and earning a spot on the podium. 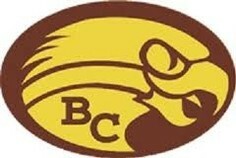 Yet another talented light-weight will join the BECA State Championship program this season as freshman Jake Riegel looks to have an impact for the Golden Hawks. Riegel was a 2013 PJW State runner-up falling to #13 Colin Cronin in the finals (7-0) at 102 lbs. 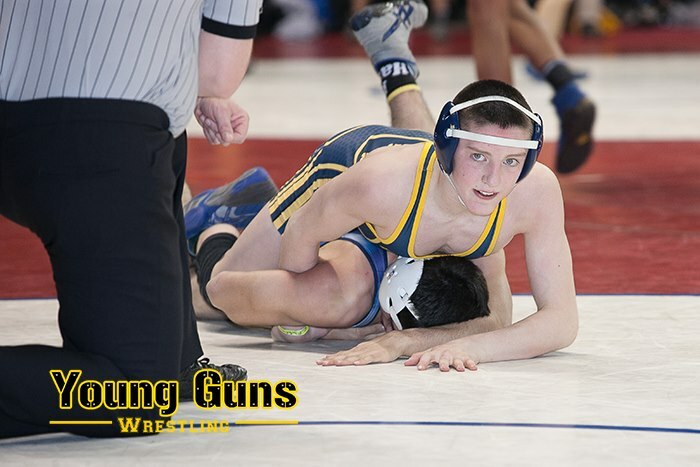 Riegel is also a 2x District 11 Junior High Champion and a Big Horn Nationals Champion. The rookie will benefit greatly by working out with PIAA Class AA State Runner-up Luke Karam on a daily basis. Karam is registered to compete at 106 lbs. at the Super 32 Challenge so Riegel may be seeing action at 113 lbs. depending on where Karam ends up. Regardless, Riegel will have an impact and should have a successful career at Bethlehem Catholic. Projected Weight Class: 113 lbs. Cumberland Valley will look to continue the tradition of talented lightweights as freshman Cal Reichart is leading the charge. Reichart was PJW State Third Place Medalist in 2013 and was an Ohio TOC runner-up. Reichart will have several other talented freshmen to compete with as Wyatt Long and William Kaldes are also in the mix at 106 lbs. – 113 lbs. Reichart will most likely compete at 113 lbs. this season and will only improve in the Cumberland Valley wrestling room with head coach Dave Heckard and assistant coach Billy Chamberlain. The eagles could return to the days of Ryan Williams and Morgan Baublitz in the coming years if these freshmen flourish. District 4’s Brian Courtney comes into his rookie season with three PJW State medals and a District 4 Junior High Championship. Courtney recently competed at the Super 32 Challenge Tournament held in Shippensburg, PA and went (3-2) at 106 lbs. There he defeated #25 Aaron Rump (3-1). Courtney should continue to compete at 106 lbs. 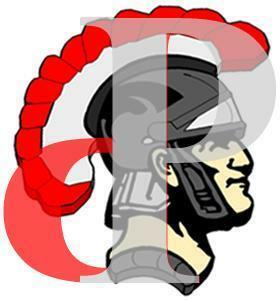 for Athens Area High School. Facing always-tough District 4 competition his freshman season will benefit the lightweight and could turn out making several trip to Hershey for the PIAA State Tournament. Sanshiro Abe will have yet another talented lightweight wrestler this season as freshman Dominic Means will join the Central Catholic Vikings. Means is a 4x PJW State Medalist and 3x PJW Are 7 Champion. The rookie should compete at 106 lbs. throughout the season and will benefit from working out with 2x PIAA State Medalist Vincenzo Joseph in the wrestling room. Central Catholic’s schedule is no walk in the park with three of the Nation’s top tournaments on the list including the Wash-Jesuit Ironman, the Beast of the East, and the POWERade Tournament. Means will be tested and will benefit from the experience. Expect to see him make an impact on the WPIAL in the years to come. Projected Weight Class: 132 lbs. – 138 lbs. Somewhat of a dark horse on the list compared to others around him, freshman Jake Hinksom burst onto the PJW State scene when he claimed the 132 lbs. Championship in 2013. In the quarterfinals Hinkson defeated 2013 Northeast Regional qualifier Jimmy Saylor of Easton Area (5-4) to advance to the semifinals. It was Hinkson’s first time qualifying for the PJW State Championships. Hinkson did however place twice at the MAWA Eastern National Championships finishing as the runner-up once and third place once. The rookie predicts to compete between 132 lbs. and 138 lbs. for the Tigers. He will join an already talented line-up that includes 2013 PIAA State Medalist Jesse Rodgers. Hinkson is just one of several freshmen who could make an impact for a team that finished third in the WPIAL Team Championship last season and qualified for the PIAA Team Championships. If Hinkson is able to crack the line-up he should fair well with a rather tough schedule. Freshman John Pipa, like majority of the Top Incoming Freshmen, will join his older brother David Pipa on the Bishop McDevitt Crusader line-up. John is the third Crusader on the list joining Cole Nye and Zane Black. 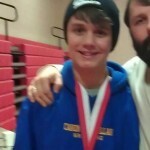 Older brother David will be a junior this season and qualified for the PIAA Class AA State Tournament at 113 lbs. going (1-2) after having to default his final match. John predicts to follow in his older brother’s footsteps and will compete at 106 lbs. in his rookie season. Pipa is registered to compete at 106 lbs. in the Super 32 Challenge. In 2013 he was a PJW State runner-up at 92 lbs. falling to Pennridge’s rising sophomore Kordell Rush. Pipa was also a 3x MAWA Eastern National medalist finishing as the runner-up in 2013 at 100 lbs. Pipa has a very good chance to do well at 106 lbs. and may end up earning a trip to Hershey in his first try. Projected Weight Class: 106 lbs. – 113 lbs. Freshman Aaron Rump joins older brother David Rump on the Chambersburg Area wrestling team for his freshman season. Rump is a decorated youth wrester who was 2013 PJW State medalist and 2012 MAWA Eastern National runner-up. Rump recently competed at the Super 32 Challenge Qualifying Tournament in Shippensburg, PA where he went (0-2) falling to rising 8th grade wrestler Andrew Wert (0-2), and to #21 Brian Courtney (1-3). Aaron in currently registered to compete in the Super 32 Challenge at 106 lbs. 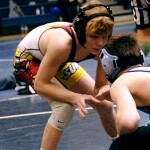 The rookie will have to adjust to high school competition and settle in to the 106 lbs. weight-class for Chambersburg Area. Overall he should have a fine future ahead of him over the next four years. 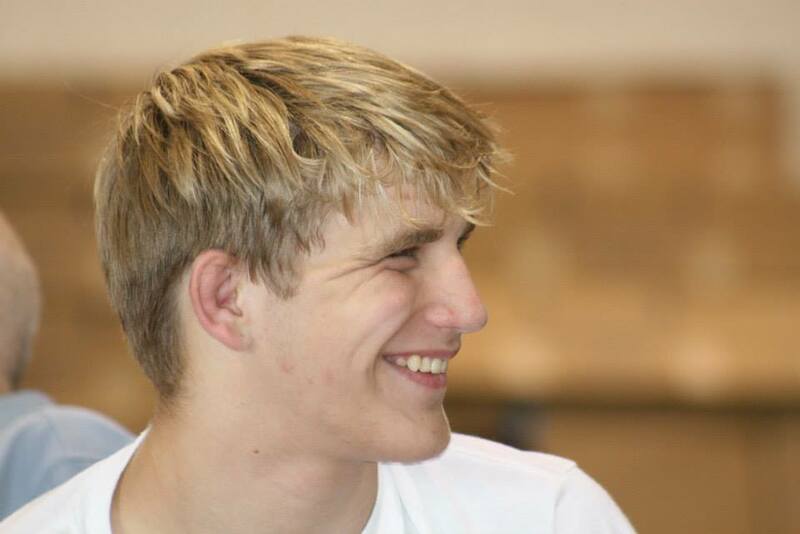 Dallas Bulsak, a 2x PJW State Medalist, joins a Bentworth wrestling team that includes lightweights Hunter Neeley and Jake Rothka. Bulsak was also a 4x Cliff Keen National Kick of Tournament medalist and projects to compete at 106 lbs. this season. Although slightly undersized, Bulsak could advance to the Southwest Regional Tournament and overall have a successful first season. With talented practice partners in the room, Bulsak will only improve and should be a challenger in the Southwest Region throughout his career. Yet another Top Incoming Freshman for the North Allegheny Tigers is rookie Anthony “A.J.” Boeh. 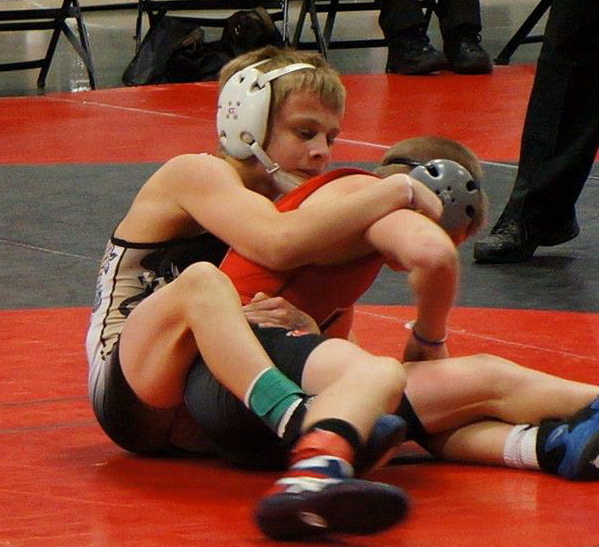 At the 2013 PJW State Championships he placed third at 117 lbs. falling to eventual champion and #11 Zack Trampe (4-0). Boeh bounced back and defeated #34 Jason Stange (4-0) in the consolation finals. Boeh lacks the National competition that other wrestlers on the list possess; however, he is currently registered to compete at the Super 32 Challenge in Greensboro, NC this month at 126 lbs. Anthony had competed for Mars Area during his youth career and his brother Richard Boeh, a rising junior, competed for Mars Area High School’s wrestling team last season. Listed on his registration for the Super 32 Challenge is North Allegheny as the high school. If he is indeed at North Allegheny it will be another young star to join a very deep line-up for the Tigers. Boeh has the potential to make an impact on the WPIAL over the next four years regardless of which high school he attends. The 2x PIAA Class AAA State Champions and 5x WPIAL Class AAA Champions Canon-McMillan Big Macs will add a talented young wrestler to their team this season. Matt Oblock is a PJW State Champion and 3x PJW State medalist. In 2012 he captured the 105 lbs. State Championship in the 11 & 12 division while earning a Southwest Regional Junior High Championship in 2013. This past spring Matt competed for Team PA at the Schoolboy National Duals and compiled a (4-3) record in both Freestyle and Greco-Roman against the Nations top wrestlers. Oblock could compete anywhere between 120 lbs. and 132 lbs. for the Big Macs and it will largely depend on where 2013 PIAA State Runner-up Dalton Macri decides to compete. Having the talent around him daily will obviously benefit Matt and expect to see him make several trips to Hershey by the end of his career. 2x PJW State Champion Riley Palmer will join older brother Nick Palmer on the Council Rock South wrestling team this season. Palmer was a 2009 and 2011 PJW State Champion while finishing third in 2012. Palmer was also a 2x Northeast Nationals Champion and a Dixie Nationals Champion in his youth career. The talented lightweight missed the 2013 PJW State Tournament with an injury. Palmer will attempt to break into the line-up for the Golden Hawks in his rookie season. If successful, he will face some of the State’s toughest competition at 106 lbs., as the CRS schedule is full of challenges. Palmer may be slightly undersized still but with time and growth he has the potential to earn a spot in Hershey in the next four years. Projected Weight Class: 170 lbs. 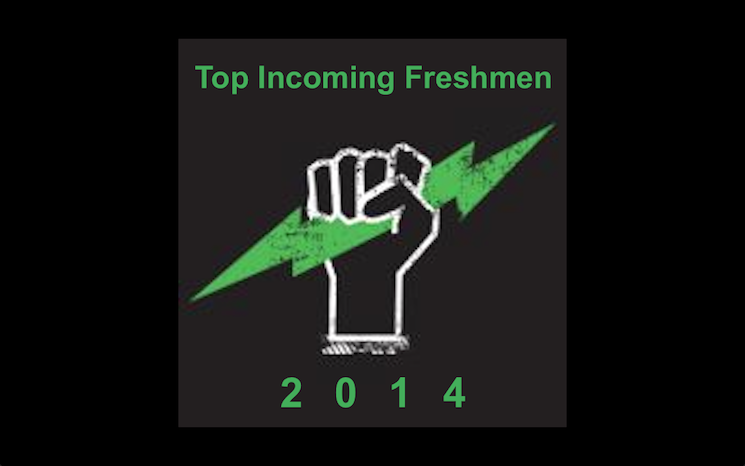 The second Belle Vernon Area freshman on the list is big Billy Korber. The upper weight wrestler has a long history of competition going all the way back to 2006. Now, seven years later, he will be looking to make an immediate impact on a Belle Vernon team that is loaded with talent. Korber will most likely compete at 170 lbs. but could see action at 182 lbs. as well. Korber is a 2x PJW State Medalist and a 2013 Southwest Regional Junior High Champion. Billy has participated in several State and National level Freestyle tournaments throughout his youth career and faired well. The rookie will join rising sophomore Austin Bell who won over 35 matches at 160 lbs. 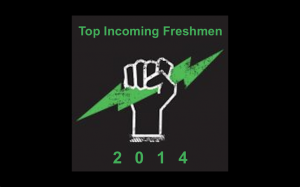 as a freshman. Korber could duplicate that feat and the two will provide Belle Vernon Area with a strong one-to-punch. Korber has the potential to earn PIAA State hardware by the end of his high school career and do not be surprised to see success out of him early on. 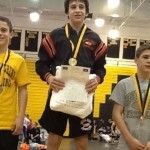 PJW State Champion Michael Labriola is a talented wrestler who projects to compete around 120 lbs. – 126 lbs. in his rookie season. 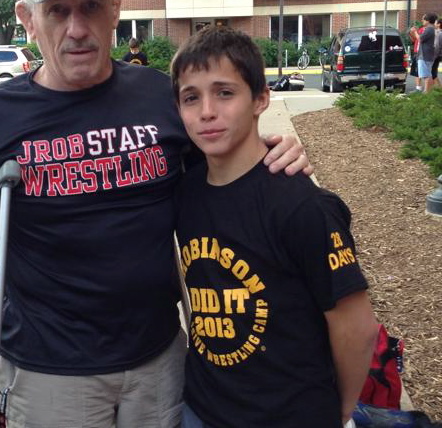 In 2013 Labriola was a PJW State runner-up at 124 lbs. falling to #2 Cameron Coy by fall in the finals. In the semifinals Michael defeated Shaler’s Logan Heinl (4-3) who was a Class AAA Southwest Regional fourth place medalist as a freshman. 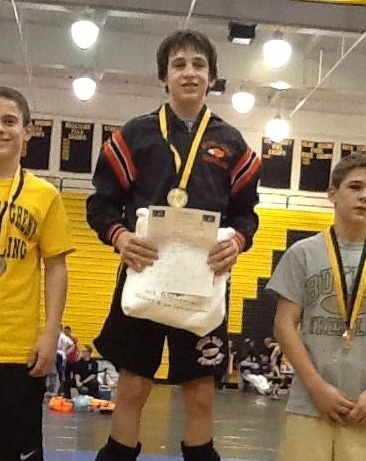 Labriola was also a District 11 Junior High Champion in 2013 at 117 lbs. The BECA rookie should enjoy a successful career and may earn several trips to Hershey and bring home hardware by the time its all over. You guessed it. Another younger sibling of a talented line of brothers is Matthew Marino of Garnet Valley. Marino’s eldest brother Joe Marino is currently on the Harvard wrestling team after finishing fourth at the PIAA Class AAA State Tournament in 2010 for Garnet Valley. Middle brother Michael Marino is a senior this season at Garnet Valley and in 2013 he placed sixth at the PIAA Class AAA State Championship at 120 lbs. Matthew is currently registered at 113 lbs. for the Super 32 Challenge Tournament. 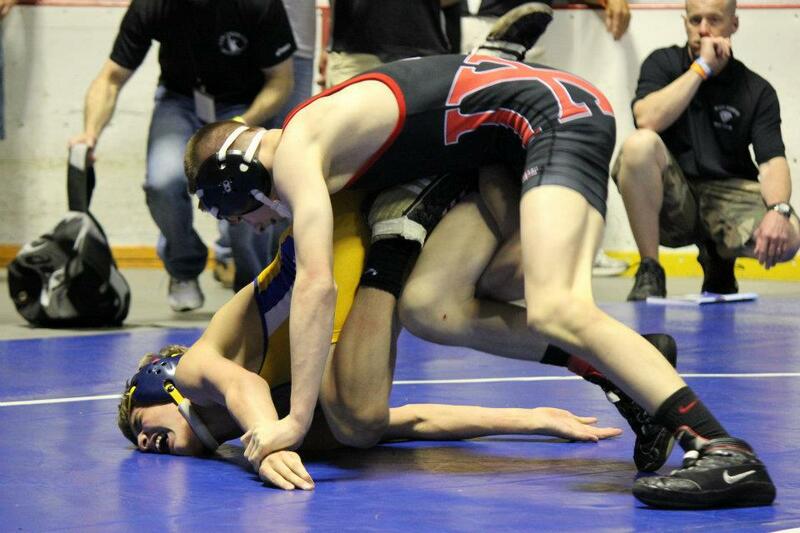 Matthew was a 2013 PJW State seventh place finsher at 112 lbs. and was a 2013 MAWA Eastern Nationals third place finisher. Marino will look to match his brother’s accomplishments and by all accounts he is certainly capable of achieving that. He projects to compete at 113 lbs. but could see action at 120 lbs. in his rookie season. He will have to face stiff competition at 113 lbs. in District 1 but could reach the Southeast Regional Tournament in his first season. PJW State Champion and 4x PJW State Medalist Jimmy Hoffman is an accomplished youth wrestler who should continue that success into high school at Hazleton Area. 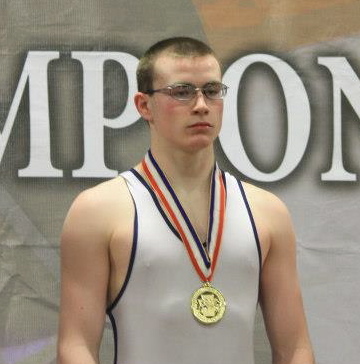 In 2011 Hoffman won the PJW State Championship at 80 lbs. in the 11 & 12 division. In the Tournament Hoffman defeated #20 Cal Reichart (2-1) in the finals after downing #9 Brock Port (1-0) in the quarterfinals. Hoffman is also a 6x MAWA Eastern Nationals Medalist including claiming the Championship in 2010 at 70 lbs. The rookie projects to compete between 113 lbs. and 120 lbs. this season. Hoffman should fair well against District 2 competition and should have an impact on the Northeast Regional and PIAA State Tournaments by the end of his career. 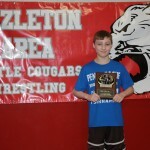 Talented youth wrestler Jason Strange has achieved multiple accolades in his young career. 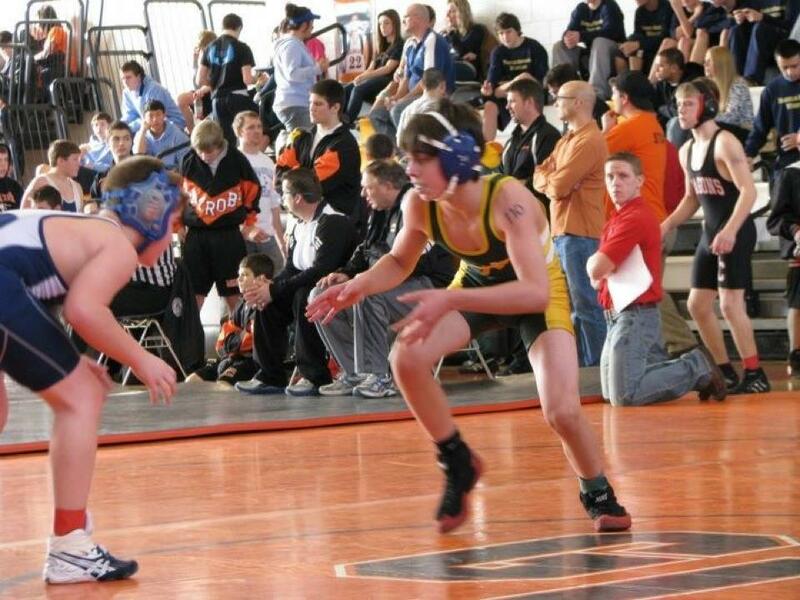 The Yough High School freshman was a 5x PJW State Medalist and a 2012 Southwest Regional Junior High Champion. Strange has competed in many State and National Freestyle events, which will help him against the always-tough WPIAL competition. Strange should compete between 120 lbs. and 126 lbs. for Yough and could have an impact early on the Southwest Regional. Strange will continue to improve and should make several trips to Hershey earning hardware along the way. Kiski Area freshman Joey Blumer is a 3x PJW State Medalist and a 2x Southwest Regional Junior High Medalist. 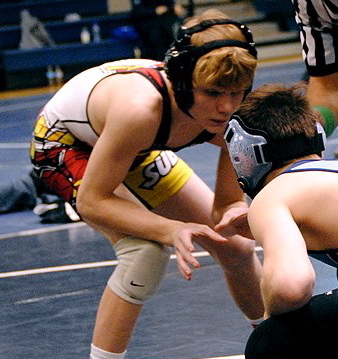 In 2013 Blumer was the SW Regional Junior High runner-up at 110 lbs. falling to #12 Nino Bonaccorsi (3-2) in the finals. 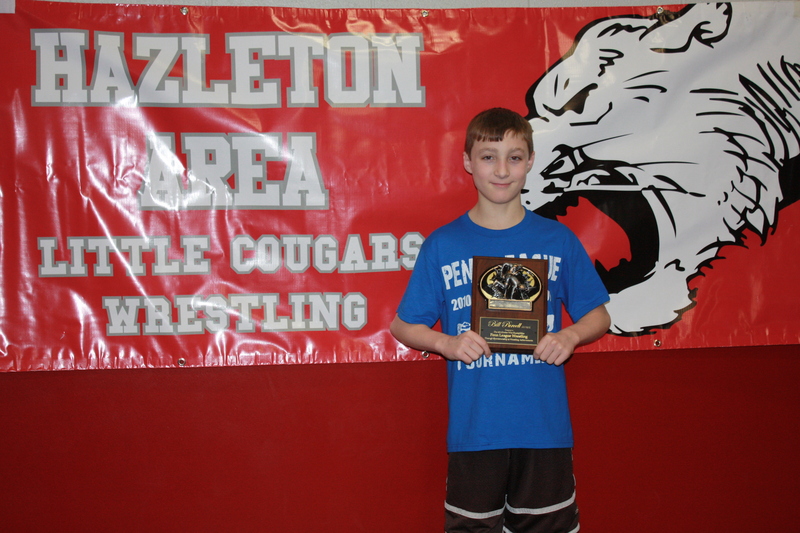 Blumer recently captured the Nittany Lion Open Junior High Championship at 112 lbs. 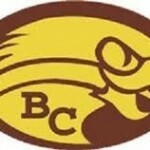 Blumer projects to compete at 106 lbs. for 2013 WPIAL Team Fourth Place Cavaliers. The rookie will be tested by Kiski Area’s difficult schedule but the experience will benefit him for the future. Expect to see Blumer make an impact on the WPIAL in the next four years with a trip to Hershey or two in the process. Projected Weight Class: 285 lbs. Projected Weight Class: 132 lbs. – 128 lbs. Projected Weight Class: 220 lbs. Projected Weight Class: 160 lbs. Projected Weight Class: 152 lbs. Projected Weight Class: 113 lbs. – 126 lbs.